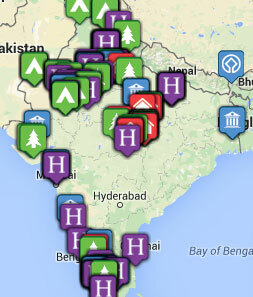 Tribes Overall: "We decided that we would like a Spiritual Tour of India including a stay at a Ashram. Tribes (Paul Cook) came up with a 13 day tour which took all our wishes into consideration, never Using Tribes before and never visited India. We took a chance and Tribes and India exceeded our expectations of which we thank them for. " Tribes Service: "Everything was a 1st Class Service a big thank you to Paul Cook"
Guides: "A very knowledgeable and helpfull at all times "
Social & Environmental Responsibility: "I gave us another view of Spiritualism in an eastern country "